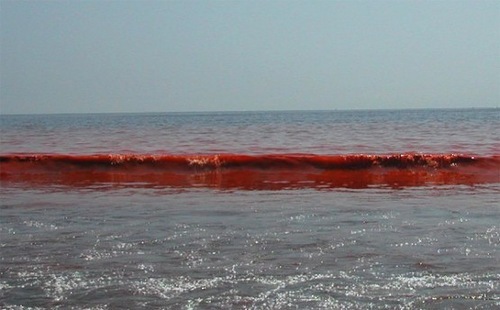 I visited the Azov Sea a couple of years ago, but didn’t see such scary red color. 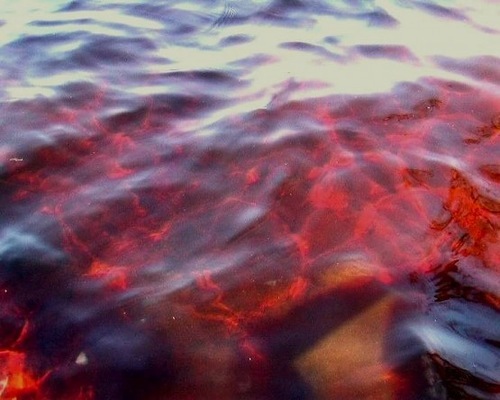 Tourists, locals and scientists are buffled as the waters of the Azov Sea, near Berdyansk village, turned bloody red. According to the locals, it might be a sign of the coming events, prepare for the second coming. 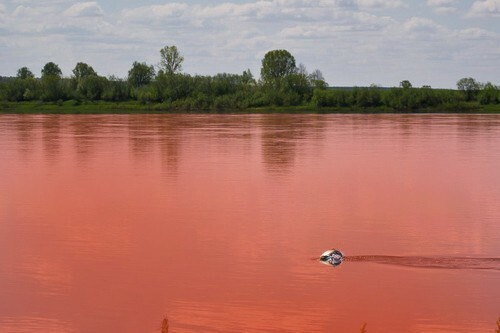 Meanwhile, the officials try to calm people down, claiming that this is perfectly normal event, nothing to worry about. They explain everything that has happened, happened due to natural reasons. However, it still remains unclear what has happened. 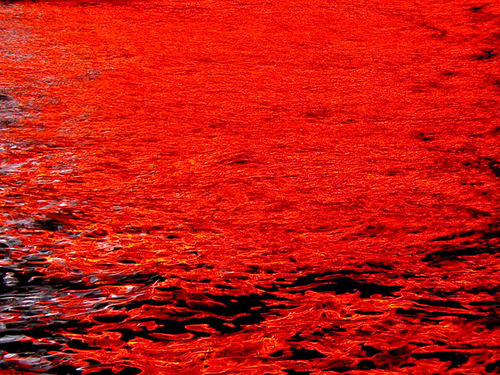 The red color of the sea might have different causes, among them algal bloom. 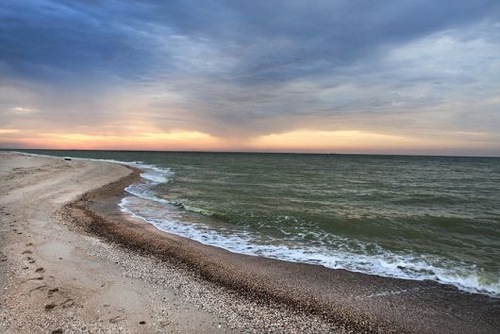 Besides, the toxic pollution is also in the list.